Despite China finally withdrawing its troops from Ladakh’s Chumar area after extracting a concession from India to demolish a key observation post, the tense standoff on the frigid heights of western Himalayas will be remembered as the symbol of Prime Minister Narendra Modi’s abortive effort to reset India’s relationship with Beijing. After assuming office, Modi went out of his way to befriend China, making a series of overtures. Modi received the Chinese foreign minister before welcoming any other foreign dignitary. His first bilateral meeting with an important head of state was with President Xi Jinping at the BRICS summit in Brazil. Indeed, Modi postponed his own Japan trip so that he met Xi first in Brazil. Furthermore, Xi was given the honour of being the first G-8 head of state to visit India. Not only that, Modi became the first prime minister to receive a foreign leader outside New Delhi — that too on his own birthday. So when Xi, wearing a Nehru jacket, toasted the birthday of his host at a private dinner on the bank of River Sabarmati in Gujarat, it highlighted Modi’s charm offensive to build a more cooperative relationship with a country that poses the main strategic challenge to India. 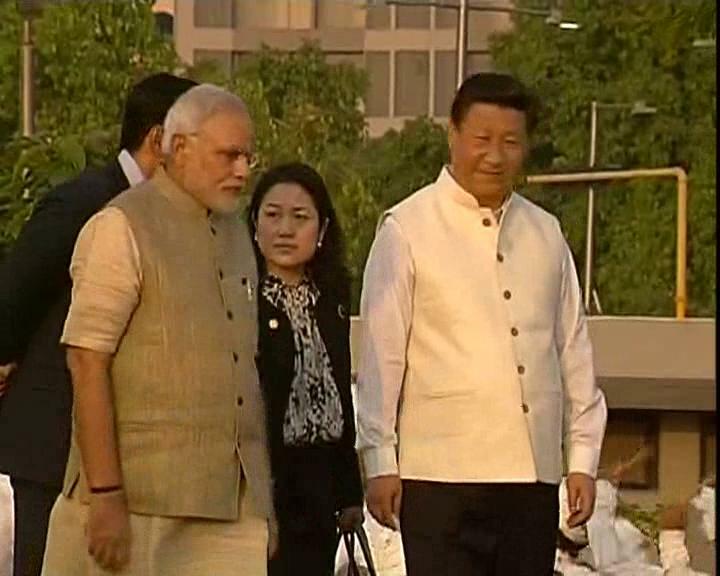 Such was Modi’s courtship that Xi quoted him as saying “India and China are two bodies in one spirit”. But the diplomatic love-fest quickly turned into diplomatic discomfiture as news trickled in that hundreds of Chinese soldiers had intruded into Chumar. While Modi was publicly espousing “inch toward miles” as the motto of India-China cooperation, the People’s Liberation Army (PLA) was implementing that call through a fresh action on the ground. Even more galling was the fact that this incursion — the worst in troop numbers in many years — came to epitomize Xi’s birthday gift for Modi. China has used virtually every high-level visit to flex its muscles while talking peace. For example, China conducted its most-powerful nuclear test ever in 1992 during the first-ever state visit of an Indian president. In 2003, when Atal Bihari Vajpayee was surrendering India’s Tibet card in Beijing at the altar of diplomatic expediency, a PLA patrol intruded 14 kilometres into Arunachal Pradesh and abducted a 10-member Indian security team. When Chinese leaders have visited India, their trips have been preceded by or coincided with territorial provocations. It was just before President Hu Jintao’s 2006 visit that China began claiming Arunachal Pradesh as “South Tibet”. Likewise, prior to Premier Wen Jiabao’s 2010 trip, Beijing began questioning India’s sovereignty over Jammu and Kashmir, one-fifth of which China occupies. And Premier Li Keqiang’s 2013 visit followed a deep PLA encroachment into Ladakh’s Depsang plateau. The message that China seeks to deliver through such provocations is that if India does not behave, it seriously risks being taught a 1962-style lesson. Indeed, just as it deceptively accused an ill-prepared India in 1962 of having provoked the Chinese trans-Himalayan invasion, China has used its official media and think-tanks to charge India with intentionally ramping up border tensions during Xi’s visit to exert pressure on China. Modi thought he could co-opt China as a partner in India’s development and help ease the territorial disputes. But in Chinese strategy, political and economic elements are closely integrated, with hard and soft tactics going hand-in-hand. This was demonstrated by China rattling its sabres while its president was paying a state visit to India. Even without considering Xi’s “birthday gift” for Modi, his visit was underwhelming in substance. Xi’s $20-billion investment promise is like honey presented on a sharp knife: partaking it will cut India’s interests, including by giving China greater leeway to dump more goods in the Indian market and rake in larger profits. China’s exports to India already are almost 3½ times greater in value than its imports. Yet China’s total investment in India is a trifling $500 million, or only slightly over 1% of its yearly trade surplus with it at present. Had the trade surplus been in India’s favour on this scale, imagine the kind of pressures China would have brought to bear. Indeed, China has a record of using trade as a political weapon, including against Japan, the Philippines and South Korea. India, by hinging China’s market access on progress in resolving political, territorial and water disputes, can prevent Beijing from fortifying its leverage. The good news is that Modi is standing up to the pressure from an unyielding and revanchist China, signalling that India will no longer put up with incursions, which escalated significantly over the past seven years under his meek predecessor even as he stayed mum. Modi was so jolted by Xi’s “birthday gift” (the intruding Chinese force numbered 1,000 or more at its peak) that he forthrightly called border peace “an essential foundation” for India-China ties, saying it won’t be possible for the two countries to collaborate meaningfully without peace. Modi knows that China has exposed itself by opening fronts with several neighbours. The PLA’s growing political clout emboldens its strategy of incremental encroachment through furtive nibbling. The only counter to its aggressive deterrence is offensive defence. But India still clings to defensive defence, deploying border police as its first line of defence against regular PLA troops. The result is that India continues to get blindsided by repeated incursions. It is time for India to reappraise its Himalayan defences, or else its posture of defensive defence will continue to spring nasty surprises.